We cleanup and repair water damage caused by frozen burts pipes. Michigan Frozen Water Pipe Burst Repairs are usually located near outside walls that are exposed to the colder temperatures than pipes located throughout the middle of the structure. 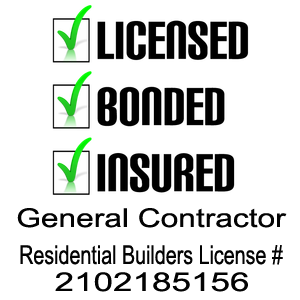 Some examples include outdoor hose bibs, pool lines, outdoor and indoor sprinkler systems, and other supply lines located in attics, basements, crawl spaces, garages, etc. 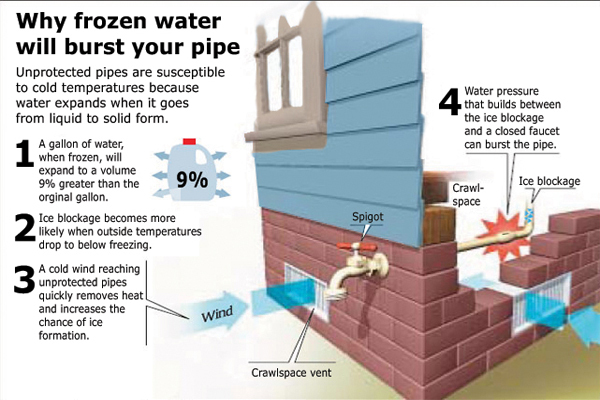 Water Pipes in attics, crawl spaces & unheated rooms are particularly susceptible to freezing and Breaking. We Can Be On-Site in 60 Minutes or Less. 25 YEARS IN BUSINESS EXPERIENCE | 60 minute response to any frozen pipe burst. 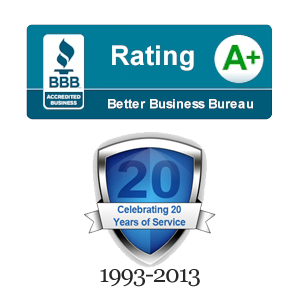 From water damage restoration to full service reconstruction, the background and experience our team assembles is unmatched. Our strength lies within our dedicated team of professionals. 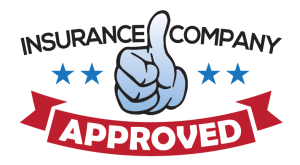 Our reputation among insurance companies is so influential that we can negotiate a schedule for site inspection and settlement offers and begin work immediately! 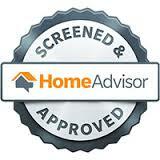 And with over 22 years of IN BUSINESS EXPERIENCE you can rest assured you have the right company for your loss! 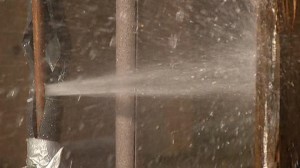 Usually, a frozen pipe burst is not often obvious because it is behind walls or in a crawl space leading into the home such as from an outside faucet. The flooding usually is caught much later after the damage has been done. An uncontrolled water leak from a burst water pipe creates extensive flooding and water damage of carpeting, drywall, baseboards and furniture. Select Restoration understands that suffering a water loss to your home or business from a frozen pipe burst is in itself a difficult situation. 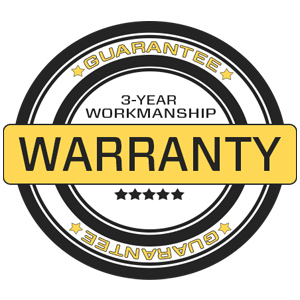 The ability to make the necessary repairs depends on the selection of the materials needed during the repair or reconstruction. Select Restoration provides full service general contracting, including all phases of commercial and residential reconstruction, from demolition and permit acquisition through the procurement of occupancy certificates. We operate on accelerated time schedules while ensuring superior quality and workmanship. At Select Restoration we strive to assist our customers to streamline the water damage restoration process by providing a state of the art showroom in our facility as a time saving convenience for our customers. From builders grade to high end our showroom is filled with hundreds of materials to choose from. whether it is selecting windows, roofing, siding, flooring, counter tops, cabinets, cabinets or other items, your assigned project manager will assist you in making the selections needed to rebuild or repair your property. We are Michigan #1 Choice for water damage restoration services. Many Michigan homeowners will go on vacation during the coldest months of the year. If there is an extended power failure or a furnace breakdown, a frozen pipe burst can appear very quickly. 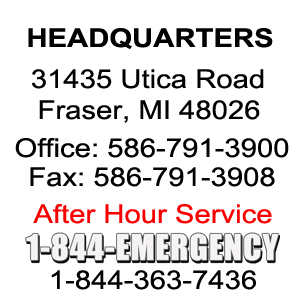 Call today for emergency water cleanup and water damage repair services repair 1-844-363-7436 or 1-586-791-3900 for non emergency. 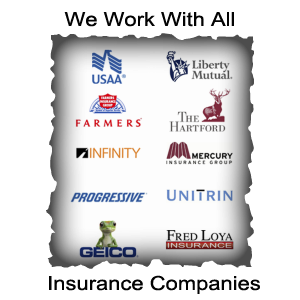 We provide Direct Billing to your Insurance Company for our Services! We realize that any water damage in your home or business may be an unexpected expense; therefore we pride ourselves in being able to bill your Insurance Company directly for our services. Our knowledgeable claims staff will guide you through the insurance claim process and most importantly we will be available to answer any questions regarding your loss 24/7. 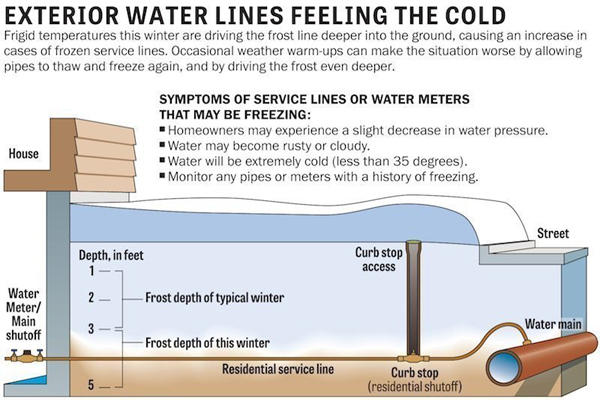 Extreme cold of Michigan winters often bring extreme problems to homeowners and businesses. The worst of these is a frozen burst pipes and the water damage clean up that follows. When the cold temperatures don’t rise above freezing for weeks on end, broken or frozen pipes lead to severe water damage and flooding. Frozen Pipe Burst: Armada, MI. Center Line, MI. Clinton Township, MI. Detroit, MI. Eastpointe, MI. Fraser, MI. Harrison Township, MI. Macomb, MI. Mount Clemens, MI. New Baltimore, MI. New Haven, MI. Ray, MI. Richmond, MI. Romeo, MI. Roseville, MI. Saint Clair, MI. Saint Clair Shores, MI. Sterling Heights, MI. Shelby Twp, MI. Utica, MI. Warren, MI. Washington, MI. Auburn Hills, MI. Berkley, MI. Beverly Hills, MI. Birmingham, MI. Bloomfield Hills, MI. Bloomfield Township, MI. Clarkston, MI. Clawson, MI. Commerce Township, MI. Drayton Plains, Farmington, MI. Farmington Hills, MI. Fraser, MI. Ferndale, MI. Franklin, MI. Hazel Park, MI. Harrison Twp, MI. Highland, MI. Holly, MI. Huntington Woods, MI. Harper Woods, MI. Harbor, MI. Lake Orion, MI. Lakeville, MI. Leonard, MI. Madison Heights, MI. Milford, MI. New Haven, MI. New Baltimore, MI. New Hudson, MI. Northville, MI. Novi, MI. Oak Park, MI. Oakland, MI. Ortonville, MI. Oxford, MI. Pleasant Ridge, MI. Pontiac, MI. Rochester, MI. Rochester Hills, MI. Roseville, MI. Royal Oak, MI. Sterling Heights, MI. South Lyon, MI. Southfield, MI. Troy, MI. Union Lake, MI. Walled Lake, MI. Waterford, MI. West Bloomfield, MI. White Lake, MI. Wixom, MI. Allen Park, MI. Belleville, MI. Canton, MI, Dearborn, MI. Garden City, MI. Grosse Pointe Farms, MI. Grosse Pointe Park, MI. Grosse Pointe Shores, MI. Grosse Pointe Woods, MI. Hamtramck, MI. Harper Woods, MI. Westland, MI. Warren, MI. Woodhaven, MI. Wyandotte, MI.